A Rose Is A Rose Is A Rose | Claire Parsons Co.
Claire Parsons was commissioned to create a dance piece for the Carl von Linné jubilee in 2007 in Sweden. Gertrude Stein's famed quote about flowers was a perfect match for this outdoor performance. The performance was in residency in Lidköping (SE) in 2007. Roses, dancing and garden clippers. Baroque dancing wrestles with the botanist Linné. 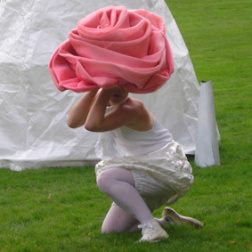 A flower turns into a surrealist costume, in a performance where humour and dancing meet science in natural elements. 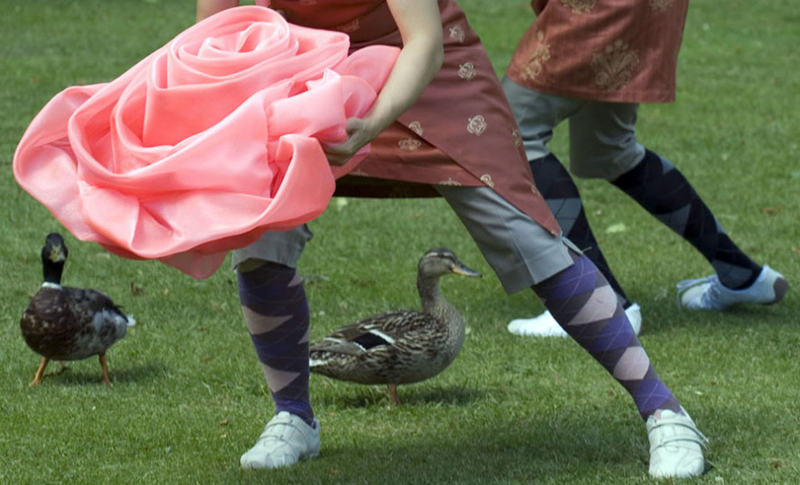 A dance for parks, castles, museums and outdoor festivals.